Utilize the discounts and offers below to enhance your church travel needs and gain points for MCC denominational travel and ministry needs! Gives you discounts at most locations. [email protected] , and you will be added to our corporate account. when booking in order for MCC to get credit. Please send your Guest Rewards number and your email address as listed on your account to [email protected]and you will be added to our corporate account.MCC earns a 25% match of your base rail points. Gives you 5% off their lowest rate, or a flat-rate discount, at most locations. Save as much as 20% off their best available rates, including international locations. MCC earns a $2 rebate per 1-day rental. We are proud to include CIBT Global Visa and Passport Professionals as Raptim’s official visa and passport service.As Raptim customers, CIBT offers you up to a 45% discount off CIBT service fee cost for visa and passports! CIBT is the worlds leading travel document specialist and expediting service. How do I contact CIBT? Continental Airlines is an exception. You will be added to our corporate RewardOne account, then MCC gets credit for any miles you fly. Please send your personal OnePass number, along with your first and last names and your email address as listed on your account, to [email protected]. Gives you a 5% discount at most locations. MCC earns a 3% rebate on all rentals booked online. Gives you 10% off their lowest rate AND privileged status if you are a Plus member. Gives you up to 20% off their rates AND an additional 5% back when booked with an AMEX Business card. Go to https://bapmember.hertz.com for additional benefits. Gives you 10% off the best available rate, complimentary high-speed internet access, and late check-out. Hours: 9:00am-5:30pm CentralJason Bontrager is the Office Manager in their Texas office and oversees our booking. He can be reached at [email protected] or ext. 5263.Raptim charges a booking fee per itinerary (on published fares only). Everything is disclosed in your price quote prior to booking. Leanna Freeman is our Account Executive, and she can be reached at [email protected] or ext. 5262.You can also find out more about them at https://www.raptimusa.com. (Brands: A Loft Hotels, Element by Westin, Four Points by Sheraton, Le Meridien, Sheraton, St. Regis, The Luxury Collection, W Hotels, Westin)MCC Preferred Business: 369575Please send your first and last name and your email address as listed on your Preferred Guest account to [email protected], and you will be added to our corporate account. Straightway is the official shipping company partner for Raptim Travel.You can contact Straightway by email [email protected]or by phone 800-SAY-AMEN (729-2636). 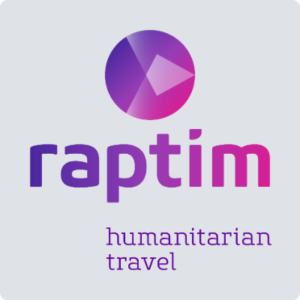 Be sure to mention you’re a Raptim Travel customer to receive the discount. Raptim Travel and The Parking Spot have partnered to offer you 25% off airport parking at all Dallas locations and 10% off all other facilities nationwide with no Saturday stay required. Please just click-and-print the following e-coupon to present upon departure. We invite you to share with others at Metropolitan Community Churches. Gives you access to their lowest rates, a free membership in their Blue Chip Rewards program, and additional benefits. Virgin Atlantic Airways is an exception.